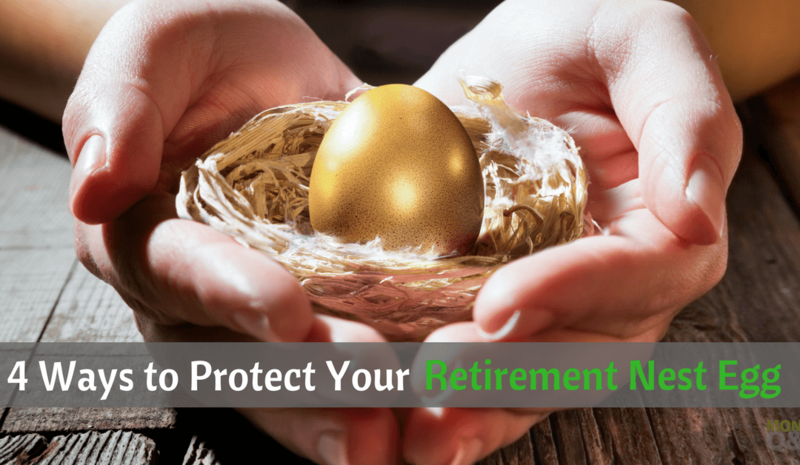 If you are approaching the off-ramp to retirement – or are already there – it’s important to think about protecting what you’ve saved and helping to ensure that you’ll have enough income throughout your retirement. After all, you worked hard to get to retirement. So you want to be able to enjoy it without having to worry about money. That means thinking ahead and planning for a retirement that may last 30 years or longer. Here are 5 rules of thumb to help manage some things that can affect your income in retirement. Plan for health care costs. With longer life spans and medical costs that historically have risen faster than general inflation – particularly for long-term care – managing health care costs is important for retirees. According to Fidelity’s annual retiree health care costs estimate, the average 65-year-old couple retiring in 2017 will need an estimated $275,000 to cover health care costs during their retirement, and that is just using average life expectancy data. Many people will live longer and have higher costs. And that cost does not include long-term care (LTC) expenses. According to the US Department of Health and Human Services, about 70% of those aged 65 and older will require some type of LTC services – either at home, in adult day care, in an assisted living facility, or in a traditional nursing home. According to the Genworth 2017 Cost of Care Survey, the average private-pay cost of a semiprivate room in a nursing home is about $85,776 per year, assisted living facilities average $45,000 per year, and home health care services are $132 a day. If you are still working and your employer offers a health savings account (HSA), you may want to take advantage of it. An HSA offers a triple tax advantage: You can save pretax dollars, which can grow and be withdrawn state and federal tax free if used for qualified medical expenses – currently or in retirement. Expect to live longer. As medical advances continue, it’s likely that today’s healthy 65-year olds will live well into their 80s or even 90s. This means there’s a real possibility that you may need 30 or more years of retirement income. And recent data suggests that longevity expectations may continue to increase. People are living longer because they’re healthy, active and taking better care of themselves. Without some thoughtful planning, you could outlive your savings and have to rely solely on Social Security for income. And with the average Social Security benefit for a retired worker currently at just over $1,369 a month, it may not cover all your needs. To cover your income needs, particularly your essential expenses, such as food, shelter, and insurance, that aren’t covered by other guaranteed income from Social Security or a pension, you may want to use some of your retirement savings to purchase an annuity. It will help you create a simple and efficient stream of income payments that are guaranteed for as long as you (or you and your spouse) live. Be prepared for inflation. Inflation can eat away at the purchasing power of your money over time. Inflation affects your retirement income by increasing the future costs of goods and services, thereby reducing the future purchasing power of your income. Even a relatively low rate of inflation can have a significant impact on a retiree’s purchasing power. Social Security and certain pensions and annuities help keep up with inflation through annual cost-of-living adjustments or market-related performance. Choosing investments that have the potential to help keep pace with inflation, such as growth-oriented investments (e.g., stocks or stock mutual funds), Treasury inflation-protected securities (TIPS), real estate securities, and commodities, may also make sense to include as a part of an age-appropriate, diversified portfolio that also reflects your risk tolerance and financial circumstances. Position investments for growth. Overly conservative investments can be just as dangerous as overly aggressive ones. They expose your portfolio to the erosive effects of inflation, limit the long-term upside potential that diversified stock investments can offer, and can diminish how long your money will last. On the other hand, being too aggressive can mean undue risk of losing money in down or volatile markets. An investment strategy (asset mix) that seeks to balance growth potential and risk (return volatility) may be the answer. You should determine – and consistently maintain – an asset mix that reflects your investment horizon, risk tolerance, and financial situation. Build a diversified mix of stocks, bonds and short-term investments, according to how comfortable you are with market volatility, your overall financial situation, and how long you are investing for. Doing so may provide you with the potential for the growth you need without taking on more risk than you are comfortable with. But remember: Diversification and asset allocation do not ensure a profit or guarantee against loss. Don’t withdraw too much from savings. Spending your savings too rapidly can also put your retirement income at risk. For this reason, we believe that retirees should consider using conservative withdrawal rates, particularly for any money needed for essential expenses. We did the math – looking at history and simulating many potential outcomes – and landed on this guideline: To be confident that savings will last for 20-30 years retirement, consider withdrawing no more than 4%-5% from savings in the first year of retirement, then adjust that percentage for inflation in subsequent years. retirement to manage these 5 key rules of thumb to your retirement income.